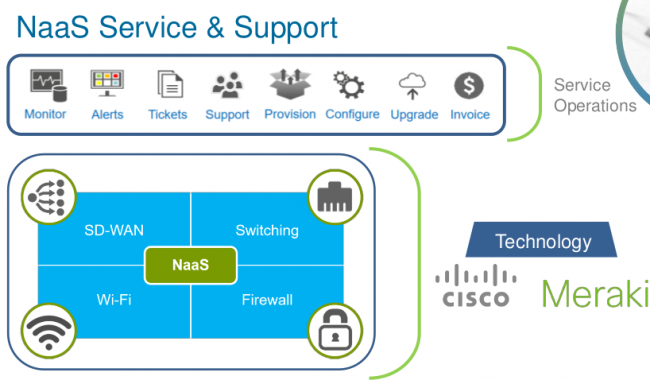 "Offering a full featured managed service, NaaS scores with a simple, cost effective and advanced IT Network without the WAN induced complexity. Functionalities such as network switching, security, Wi-Fi, VPN, and SD-WAN all come as a packaged service with the option to scale based on individual use-case and business needs. Best of all, everything is accessible through a single unified interface!"